A Record Season Followed By....What Else?......A Celebration! 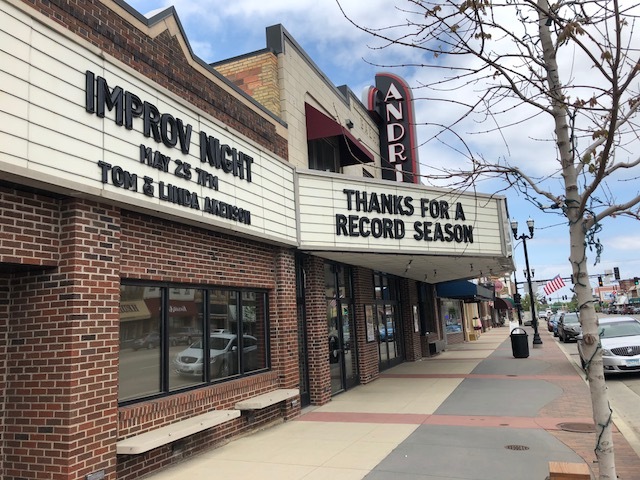 A jolly group of Andria Theatre stakeholders gathered on Friday, May 15 to celebrate a banner year. Never before has the theatre experienced the level of attendance that the 2017-2018 season brought......which made for a fun celebration. The Andria Celebration is a time to thank donors, season pass holders, volunteers, sponsors, and casts and crews. Celebrants of all ages dressed up and got in the red carpet swing of things! The evening was punctuated by entertainment from each show of the past season. 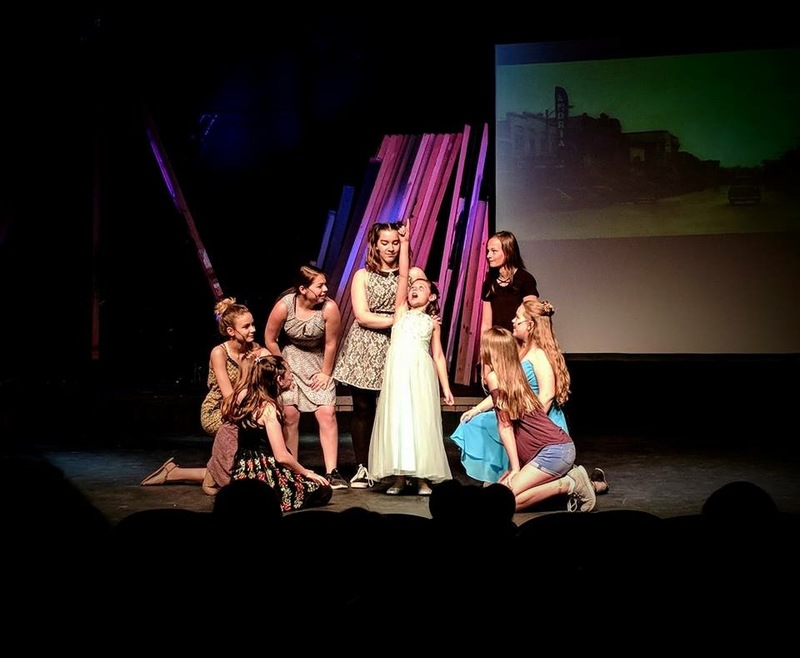 It was great to have orphans singing their hearts out on the stage again! Also, the Pirates of Penzance brought one of their numbers to life. Awards were handed out to actors and directors for their fantastic stagings. However, the main highlight of the evening is the reveal of the upcoming season. Artistic Director Dave Christman and I had fun shooting this with videographer Jackie Henning of AMS Digital Productions. Take a peek. Even though the 2017-2018 season has wrapped up, you know the saying: the show must go on. And go on it does with an improv show on May 25th with our own talented improv team Quad Squad. You will have a blast. 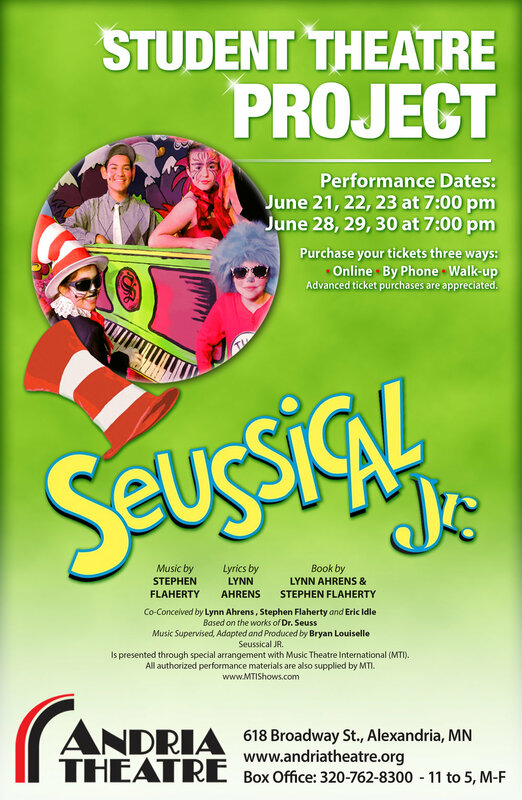 The celebration continues this summer as 47 eager youth thespians prepare for the opening of the first Student Theatre Project tomorrow, June 21. Who doesn't love Dr. Seuss? This homage to his characters, messages, and playfulness is a pleaser for all patrons. Don't miss this delight for all the sense!